How an Equity Share differs from its DVR Shares ? Blog » Miscellaneous » How an Equity Share differs from its DVR Shares?  How an Equity Share differs from its DVR Shares? In equity investments, most of us are just concerned about the return it generates. This is the reason many companies these days offer investors (especially small investors) an opportunity to earn a bit more from a particular stock by simply giving up few rights which they hardly exercise. These are known as DVR or Differential Voting Rights. DVR shares are like any ordinary share except the fact they have differential voting rights. When compared to any ordinary equity share, they may have lesser or higher voting rights. But Indian regulation does not allow companies to issue shares with higher voting rights. Thus Indian DVR shares enjoy lesser voting rights than normal equity share. DVR shares are also listed on the exchange and trade in a similar way like any ordinary shares. But, they usually trade at a discount due to the presence of fewer voting rights. DVR shares were allowed in India since 2000. Some of the companies which have issued DVR shares are Jain Irrigation, Tata Motors, Gujarat NRE Coke and Pantaloons Retail. DVR shares offer higher dividends and are priced lower than ordinary shares. However, they have limited voting rights. For instance, the people holding Tata Motor DVR can give one vote for every 10 shares held, while they will receive 5% higher dividend than ordinary equity holders. How does DVR share differ from the ordinary share? The basic difference between DVR share and an ordinary share is with respect to voting rights. Moreover, DVR shares receive higher dividend than ordinary shares. The first company to issue DVR shares was Tata Motors, which issued it back in the year 2008. Why companies issue DVR shares? DVR shares are like any normal share with fewer voting right and thus suitable for small investors since they hardly make use of their voting rights. This helps the company in equity dilution without impacting the promoter’s stake in the company. In simple words, companies issue DVR shares for dilution of voting rights, bringing in passive strategic investors and to prevent a hostile takeover. Hence, DVR shares are an important proposition for retail investors who are targeting longer-term growth prospects rather than looking for control in the company. Can DVR shareholders attend board meetings? Yes, the DVR shareholders are eligible to attend board meetings of the company including AGM. Since DVR shareholders have a limitation in terms of voting rights, so in case they are holding a very small number of shares they may not be entitled to vote. Why should you buy DVR shares? The simple reason why you should invest in DVR shares is that they mostly trade at a discount. Many a time, a huge gap can be observed between ordinary and DVR share. However, a rising awareness of the product in the market may reduce the gap between the two thus benefiting investors greatly. Another important reason to buy DVR shares is that they pay a higher dividend. In the foreign market, the gap between the ordinary share and DVR share is as low as 10%. To know the basics of the Financial Markets: you may do: NSE Academy Certified Capital Market Professional(E-NCCMP). So, people, especially retail investors, who are interested in the long-term prospect of the company along with healthy dividend payout should look into DVRs instead of the ordinary share. Moreover, the cheapness of the stocks than its ordinary share also provides a better investment opportunity.